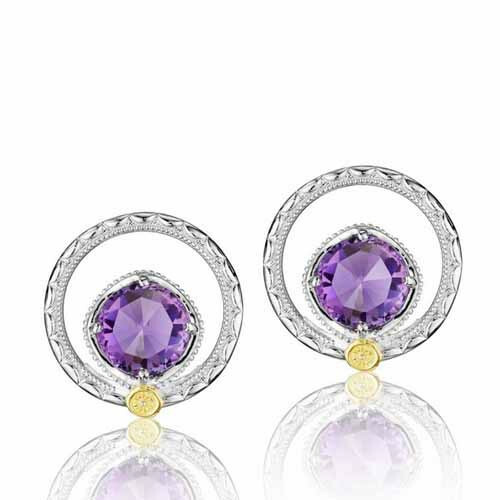 Tacori presents these earrings from its elegant Lilac collection. 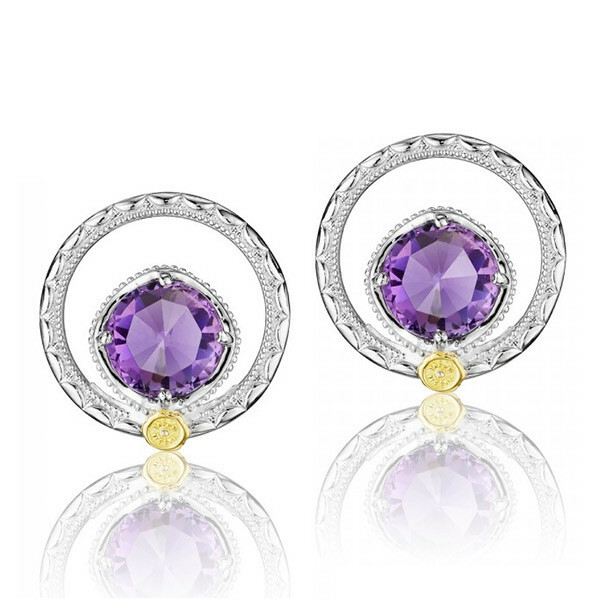 They are set in sterling silver and feature dainty purple amethyst gemstones. These earrings are the impeccable culmination of rare delicacy and graceful artisanship.